On August 25, Port Aransas took a direct hit from Hurricane Harvey. The high winds and storm surge damaged many buildings including the workshop and storage sheds of the Farley Boat Works. 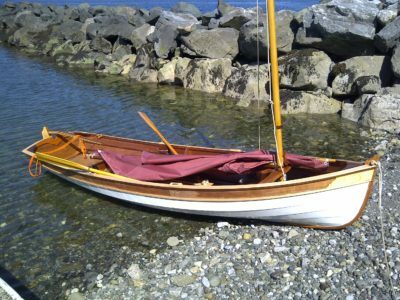 The 15’ Sailing Dinghy from Stirling & Son is the biggest boat in their range of lapstrake dinghies and the only one equipped with a deck to adapt it for coastal voyaging and adventure sailing. 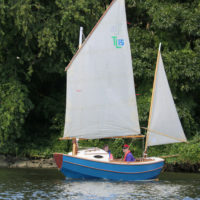 Glen-L’s Zip was designed in 1954 and can be built from fir plywood and painted as a utilitarian boat or dressed up with varnished mahogany to give it the look of a classic runabout. 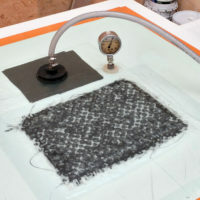 Vacuum bagging puts the weight of the atmosphere to work to press broad panels together for gluing and sqeeze irregular shapes to make strong, lightweight composite pieces that would be difficult to achieve in wood. 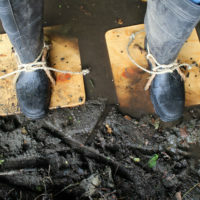 If there are mud flats lining your cruising grounds, a pair of mud pattens will allow you to walk around without sinking in over your boot tops. 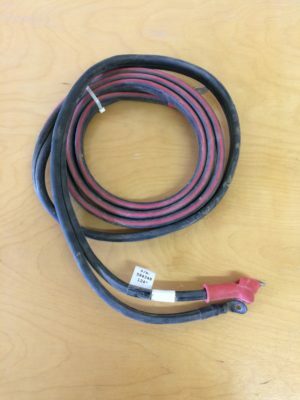 They’re easy to make and require just a few bits of wood, a handful of screws, and some rope. John Welsford’s Scamp has created quite a following and his Tread Lightly is often overlooked. It’s 13” longer and has a mizzen and a cabin with enough room to sit and sleep comfortably. 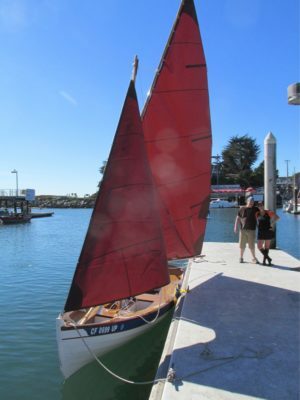 Reader Steve Judson made a few modifications to his homebuilt Tread Lightly to best suit the sailing he had in mind. 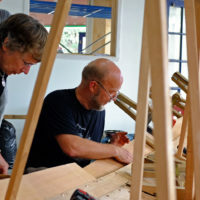 Two New Zealand filmmakers travelled to Norway and made a short movie about Ulf Mikalsen, a builder of traditional Norwegian boats. Three years later they brought Mikalsen to New Zealand to build a faering for their coastal community. Do-it-yourselfers who build airplanes are necessarily fussy about their work. 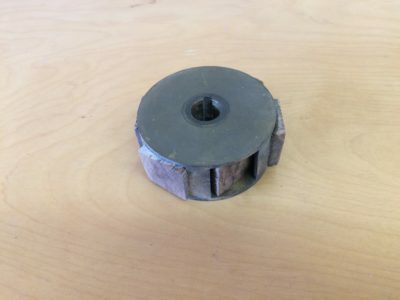 When it comes to marking an even spacing for rivets, they use a rivet fan spacer. 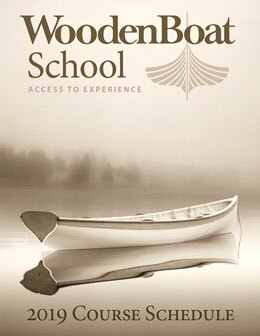 It’s a tool boatbuilders will also find quite handy.